Have you ever wanted to live in a musical wonderland of flowers and Emoji? Now you can. EmojiFlower VR is a Virtual Reality art-game that combines Emoji with 90s interiors, natural environments, and original music. EmojiFlower VR 😀🌺 is experienced with Google Cardboard. EmojiFlower VR😀🌺 was featured at emojicon 2016! EmojiFlower VR was started as a Virtual Reality research project with Gray Area Foundation for Art and Technology. I've been working on learning Unity for creating VR 3D worlds. The first game environment was based on a 90s interior spread in NEST magazine that I felt captures the zeitgeist of the 90s. I added in Emoji because they express for me the culmination of culture in the last decade. Emoji are something wonderful that we embraced in the 2000s. 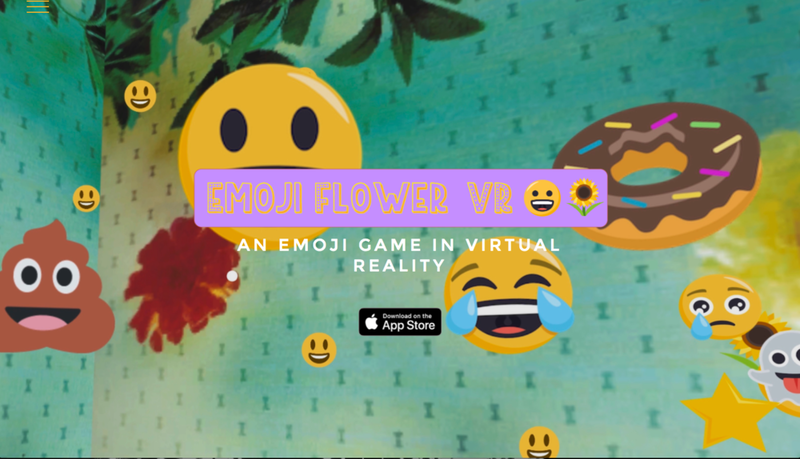 EmojiFlower VR 😀🌺 is a rumination and celebration of the possibility, joy, and strangeness of twenty first century American culture. My research at the Gray Area Foundation for Art and Technology is all about Augmented Reality and Virtual Reality. I've been working on learning Unity for mapping with AR and 3D with VR. My two VR headsets are Cardboard and HTC Vive. I was looking through some of my magazines for inspiration and I remembered a copy of NEST that I have from the year 2000. It had am AMAZING room in that issue with people who had scratch off clothes on the cover. I've always wanted to live in that room and in fact I tried recreating it in my own room and car (in college). So I thought, why not make it in VR? 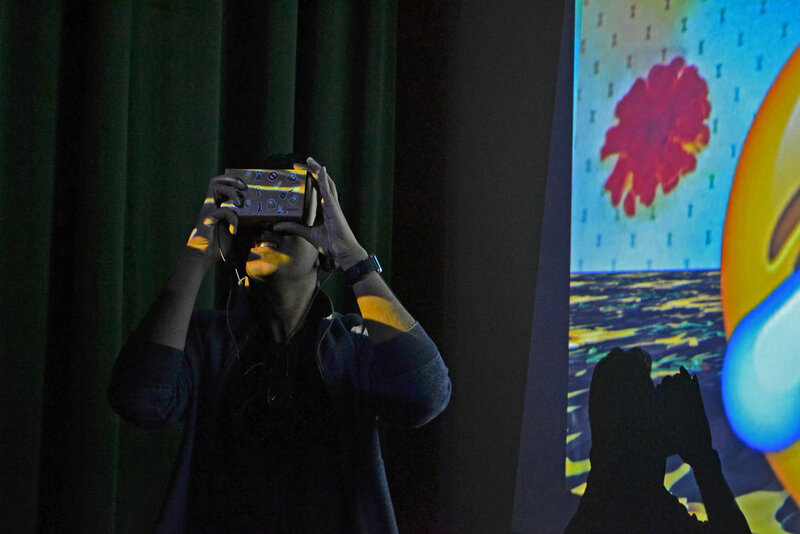 EmojiFlower VR started as an exploration into VR during my incubator at Gray Area. I built a room that I had loved from a 90s/2000s interiors magazine, NEST in VR using Unity. I started making this project as part of my research into VR. First I experimented with ThreeJS and Unity. I was working on a Unity project at that time so I decided to go with that technology. I was looking for inspiration to create the 3D environment and I remembered an interiors magazine I had loved from college, Nest. There was one specific layout that featured two naked people in a garden of eden made of fake sunflowers and plants goring inside a room. The 90s interior spread captures the zeitgeist of the 90s. I added in Emoji because they express for me the culmination of culture in the last decade. Emoji are something wonderful that we embraced in the 2000s. After that I debuted the piece at Emojicon and included some of my favorite Emoji into the world. After some great feedback from visitors to the conference, I discovered that this VR experience was indeed a fun game. 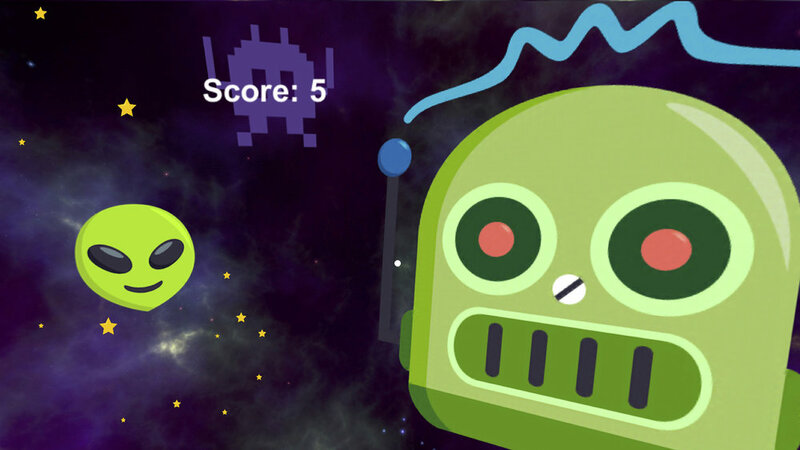 So I began the gamification process and debuted the game at the Cultural Incubator Showcase at Grey Area. Currently the game is in the second phase of VR game development at Gray Area and will be released for iOS by the end of the incubator in October. The game was designed and Developed by Niki Selken with original music by Timothy Vickers.